Let us know, we will help you solve your problem. We offer IT solutions fitted to the needs of our Customers. Don't wait, check us out today. NetTeam Solutions is a company that provides flexible modern friendly IT solutions fitted to the needs of our customers. They are built for companies who appreciate the easy access to business information and seeking mechanisms to automate common business processes. Services provided by NetTeam Solutions rely primarily on supporting clients in the safe and effective implementation of our products and applications. They are both products of the line NetTeam Solutions and dedicated solutions based on the platform NetTeam. The team managers, analysts and developers NetTeam has several years experience in developing IT solutions, which efficiently help our customers solve their problems. 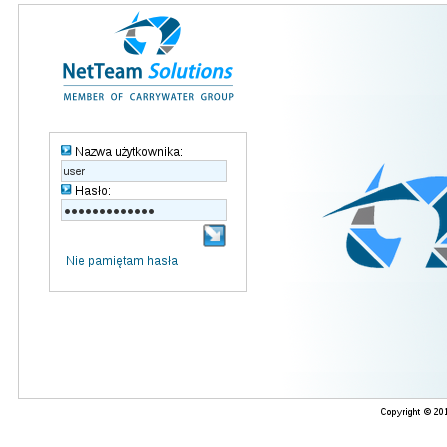 The company NetTeam Solutions was founded in 2011 by the spin-off company of the group organized in Carrywater Group S.A. 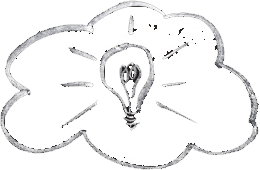 Earlier, together with our colleagues we created a company called Carrywater Consulting. The Carrywater Group also include other companies. Thanks to the relationship our ability to perform even the most complex projects increases. 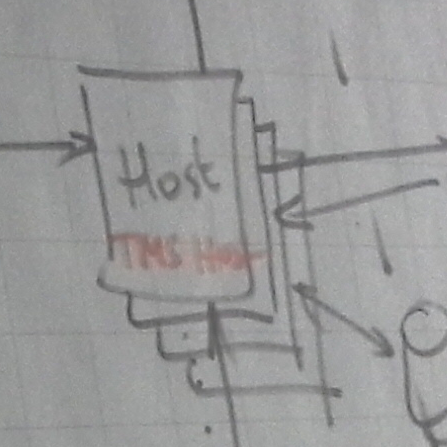 Work on the 5th generation of the NetTeam system based on the Symfony framework. 4. The growth of the team of developers and administrators. Close cooperation with the GIVT company in the field of implementing the platform for handling cases of delayed flights. Implementation of further IT systems for Danwood. Consistent implementation of the company strategy, development and acquiring new clients. Building competences in the area of BPM and CRM, which resulted in launching a partnership program with an American company ProcessMaker. Launching work on the 4th generation of the NetTeam IT system. 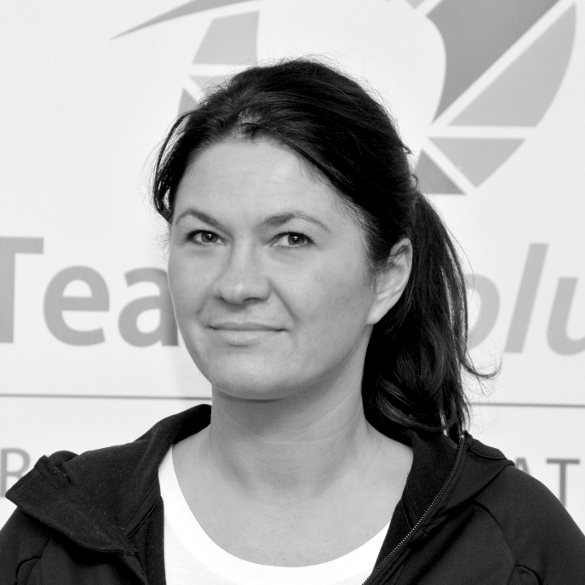 Reorganization of the NetTeam team and change of the company address. 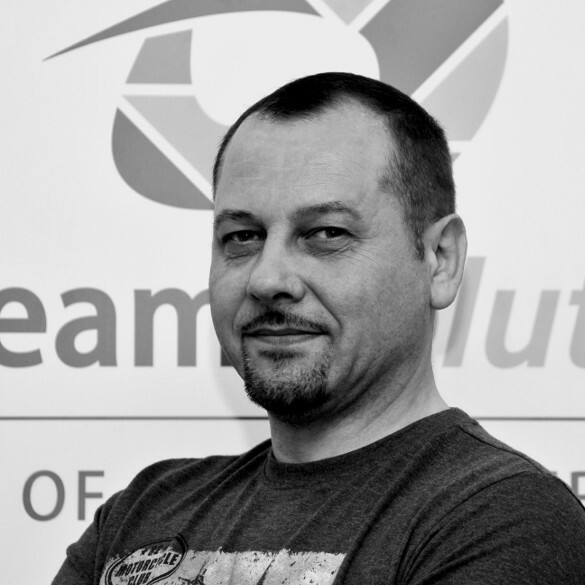 The transformation of the company NetTeam Solutions Sp. z o.o. in NetTeam Solutions S.A. Consequently built our brand and expanding our co-operation among the new organizations. 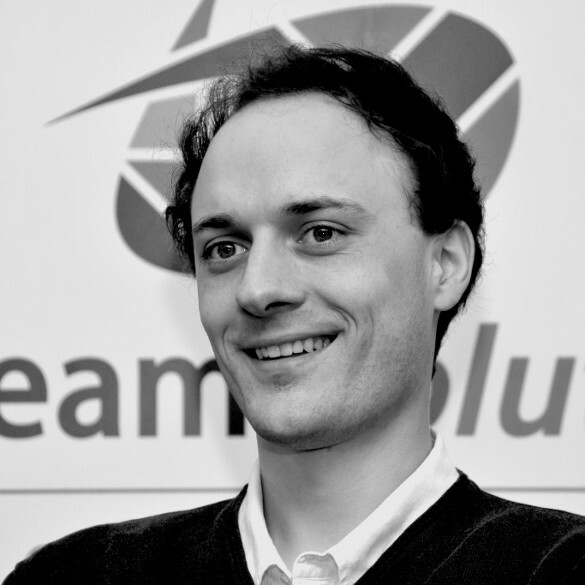 Spin-off company NetTeam Solutions Sp. z o.o from Carrywater Group. Since then, the company NTS begins to independently operate in the market of IT companies. Next we specialize in the implementation of our solutions at customers looking for IT support. Changing the company name to Carrywater Consulting. 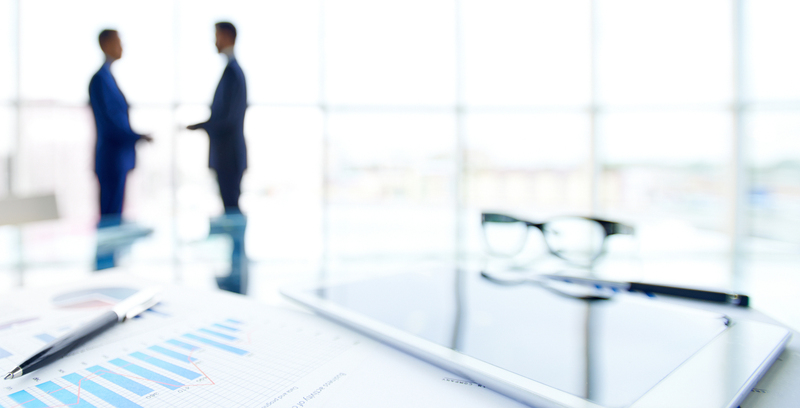 The consulting industry is dominated by the activities of our organization. Wroclaw branch of the company is still implementing information systems for our customers and the IT support for Warsaw department. Creating a second headquarters in Warsaw. The dynamic development in the direction of consulting services. Established relationships with big companies in Poland and abroad. Transforming the company into IT Experts. Building of the company's position in the market. Customer acquisition and implementation of information systems. 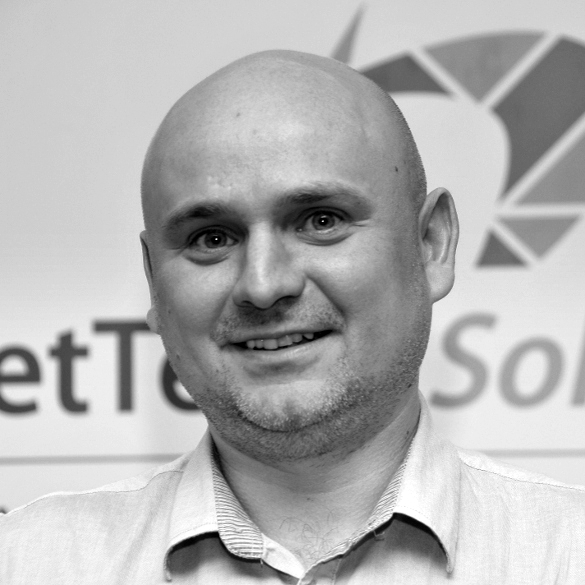 Company founded under the name POS Experts Consulting by Wojtek Woziwodzki. The team immediately joined Jakub and Sebastian. It starts with gaining experience serving geographically dispersed systems for international retail chains. We carry out projects adding all diligence. The project is based on continuous support of our customer in the development of CRM and BPM. Both systems have been integrated with each other and are constantly being developed by NTS. Apart from the development and integration activities, the project is also characterized by continuous support of our client in the administration of its IT environment. Manager is a system that supervises the process of choosing the finish of homes realized by one of our largest clients. It is constantly being developed and new functionalities are constantly emerging. With its help in a simple and modern way is presented the offer of home finishing customers. The system is multi-lingual. Allows you to supervise many trade offers and markets. 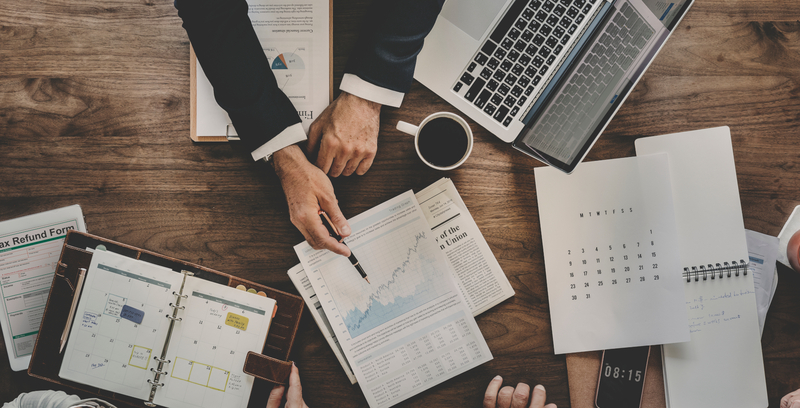 The system allows you to track the state of the project from its inception, through the state of personalization of the project to the completion of the project. This is one of the key tools we are currently developing and one of the major positions in our portfolio of projects tailored to the specific needs of our client. NetEnergy is a system by which it is possible to reduce the costs associated with power consumption in enterprises. It enables continuous tracking power consumption by using a direct connection to our system of electricity meters. Based on the analysis of the collected data, the system presents the amount of the costs incurred/to be incurred in the form of a simple table according to "Tariff - Power conventional." The system also allows you to make a simulation of energy consumption under certain conditions. NetEnergy can be connected to any system of Business Intelligence. 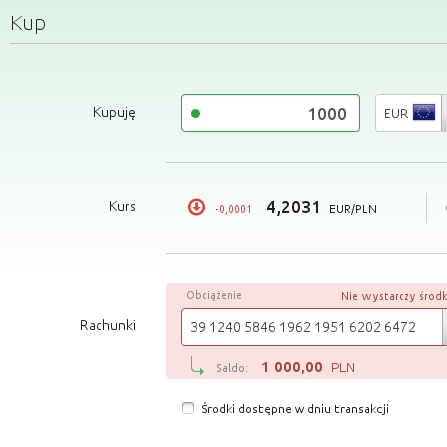 The NetTeam Bank is a backoffice platform supporting the work of employees of cooperative banks in Poland. Connection to the bank transaction system makes this system a convenient tool for easy operation and management of the bank's clients. Developed through years system modules offers a wide support multiple business processes of the bank, ranging from generating personalized documents for clients of the bank and ending with the use of the process of granting a loan to the client. Write to us to gain access. The project in its design resembles the tools on the market designed for work time planning contractors in the conduct of our client projects. 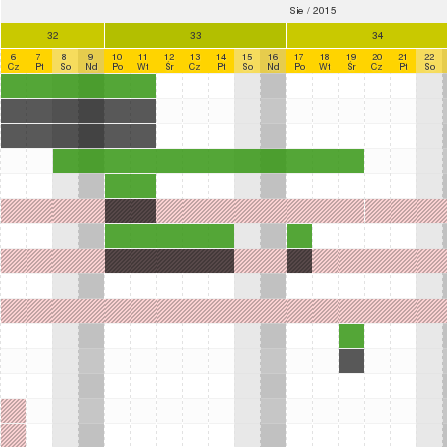 But this is not a normal Gantt chart-and with assigned resources. The tool takes into account the specifics of client work and therefore has extensive capabilities of its configuration. The system is implemented thousands of projects and planning resources. One of the modules NetTeam Bank spun off into an independent tool for promotion of bank loans. The application on the basis of information about the client's financial selects the optimal credit product for the customer. Through a single click, you receive information that banking products are available for the selected customer. The application presents in the form of a simple table according to "The amount of credit - Number of installments" of the installments to repay the loan and to inform the customer is creditworthy. The calculator also allows you to simulate the increase/decrease amount of the loan as well as increasing/decreasing the number of installments in a very fast and user-friendly way. Logistics is a system of supervising the work of the logistics department of one of our customers. With its help it is supported orders related to development projects. The system allows you to track the status of orders of materials ranging from the creation of order, and ending on receipt of the material by the customer. It is one of the tools in our projects portofio tailored to the specific work of our customers. Paylite is an application for mobile devices with the Android operating system. With it, you can recharge pre-paid cards of mobile phones of all operators on the Polish market. The application uses the service "electronic wallet credit card" supplied by an external company with security certified by PCI DSS. In addition to the mobile application also has a layer of server responsible for the safe execution of mobile recharges and continuous monitoring of the entire system. Currency Exchange is an application to exchange currencies at a buck and of zlotys into foreign currency. With direct connection to the customer's accounts at the bank, the transaction is safe and direct (internal transfer between accounts). The use of the latest technology in the form of Angular JS and REST API allows you to easily customize the appearance of the application to customer requirements and integration with any trading system providing API. Adapts to the size of the device appearance of the application allows the application to run on any tablet or smartphone. We offer our CMS. They are characterized by the fact that each one is tailored to individual customer needs. In addition to the front of the system frequently part of the backend has a number of features developed for specific customers. 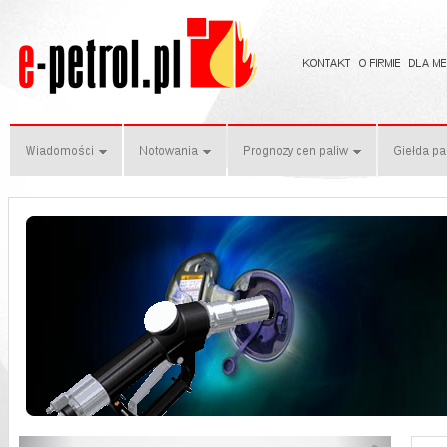 One of the customers who use our CMS is a company Information Market leading portal fuel industry e-petrol.pl . Project to support our customers in the maintenance and development of one of its information systems. Infrastructure, which is used to maintain service payment terminals. Through cooperation with our customers open up new issues related to the handling of payment transactions. On request, we participate on its behalf in the PCI DSS audits. Intranet system serves several of our customers to collect information important from the point of view of running a company. You can say that it is a center of information for company employees. Here they are collected all kinds of procedures in force in the company and documents. Tracking module provides time control of their employees. 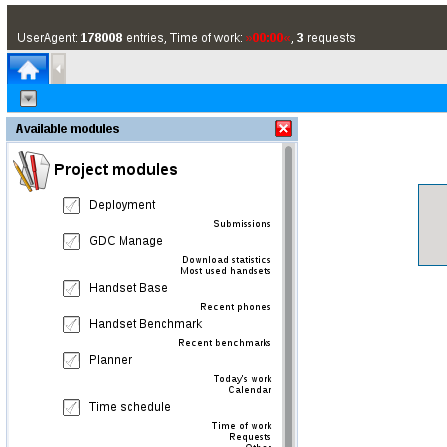 Intranet system also includes other modules such Invoices. The calculations is a system used for calculating cost estimates and budgets of projects implemented by our client. The calculations consists of the tens of calculations smaller parts called unit effort. Ready calculations presented dozens of items, all of which is created the project budget. The system streamlines processes to configuration with its valuation of projects implemented by our client. CRM + PPM is a system that is used for project management and project portfolio. It also allows tracking of employee involvement in projects. 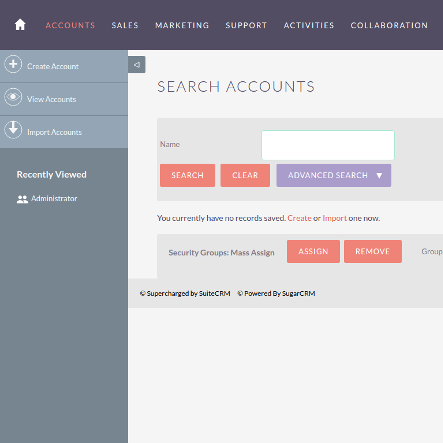 Simple CRM system allows you to store information about customers and the business partners. 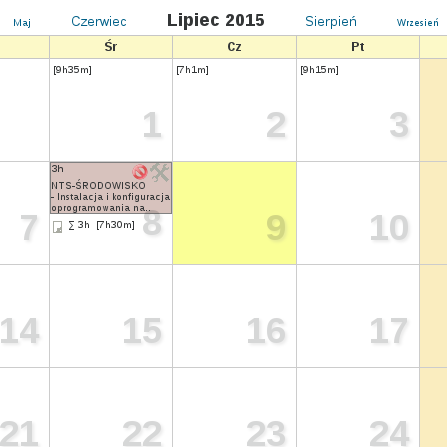 With the scheduler work each employee of a company to easily log their time to assigned to each task. 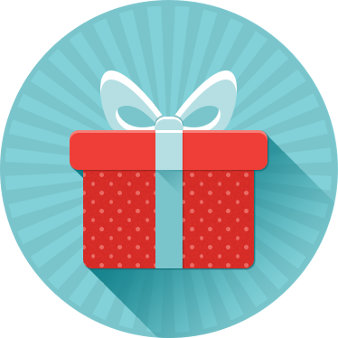 The Games Development Center is a system written to order one of our customers. It is used for the wider distribution of mobile applications. In addition, its functionality supports the process of software development for mobile devices. The system also supports micropayments implemented worldwide via SMS. The contract is a system of collecting detailed information on the contracts executed by one of our customers. In addition to a rich database of information about the contract also collected information about participants of the contract. The system is characterized by a large number of reports used in subsequent analytical run by our client. Free data management system that makes it a very useful tool in the hands of the user. The system consists of two tools: the application on mobile devices with the Android operating system and the back-office of the server for the mobile application. The combination of these two tools give you the ability to manage the work site managers on the construction of one of our customers. The system also enables recording of residence for employees in the workplace based on the position data of the mobile device. Service is a system of supervising the work of customer service in handling service faults. The system tracks the history of the implementation of the fault and generates the appropriate documents needed for the various stages of repair faults. SpecBud is a tool by which the specification is prepared building construction project. The application allows you to choose the elements of the project among the thousands available in the system. In addition to this, based on the data stored in any operative to generate personalized documents. The system administrator manages the data through your sight. Extranet is a system to support the company. It has different modules, m.in: Repository catalog. Through this system, our client is preparing its offer on the Internet for its customers. The Call Center is used by our customers in several European countries. The system has implemented detection algorithms customer addresses after the specified zip code, so you can easily categorize applications. 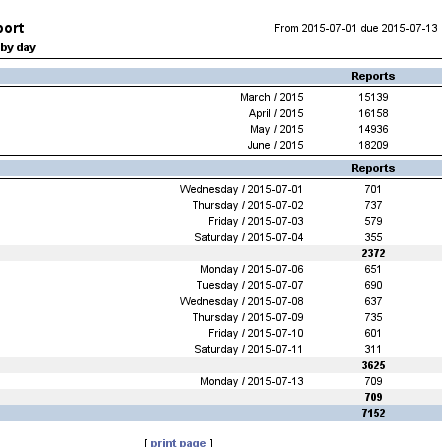 Rich reporting system allows you to create extensive analyzes. The Helpdesk has been made for one of our clients with a view to supporting the process of handling thousands of requests coming from people from all over Polish. 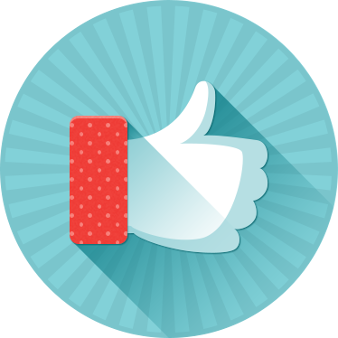 Thanks to its implementation has been successfully ordered the work of Help Desk team in the company of our client. The system enables rapid management problems reported by an immediate reply, refer the case or mark the topic as SPAM. The Knowledge Base is a typical system, bringing together in a very important, usually scattered and not related to each other thematically information. It allows the creation of many articles and notes enriched with photographs, and attachments. System permissions can grant access to selected information to authorized users. We help streamline business processes, will replace the existing technology systems and IT tools. We run IT projects being in constant contact with the customer. We conduct extensive analysis of the problems and issues related to the daily work of companies. We create solutions. We support our clients with our knowledge in the field of IT services, we offer consulting services. On request, we conduct audits or represent them before the auditor. We use agile techniques in managing projects. We adapt to customer needs in this area. Our team of administrators ensures 24/7 security and continuity of the work of our solutions. We are programming mostly in PHP. We use design patterns and like to learn. We use both relational and not relational databases. We have partnered with companies that offer BI solutions. Our code is based mainly on Symfony framework. We create websites in new technologies using the latest techniques and tools. When appropriate we support the operation of our systems right tools. We create mobile applications for the Android operating system. We develop our software using the methods of continuous integration. Our code stored in the GIT repositories. We create scalable websites on mobile devices. We are testing regularly the code created by our IT. We use unit tests, functional, and behavioral. In addition, we perform security tests and load in production environments and test environments of our clients. Whenever it's possible our developers are programming in pairs. With this technique, we make fewer mistakes while increasing commitment of a team working on the project. The code before approving the repository should have adequate Code Review. This technique reduces the number of bugs and improve code quality. After each completed project, we try to get feedback from the customer, about his experience with running the project and gain. We have customers in Poland as well as in several other European countries. Our partner is the American company ProcessMaker. The NetTeam Bank is a valued solution for our bank. Thanks to him we have won a prize in past years in the contest Leader of Financial Institutions and the Hit of the Year for Financial Institutions in the category of Back Office Systems. We use multiple systems from a family NetTeam for several years. It makes it possible to smooth functioning and continuous development of our company. Cooperation of Agora SA with the company NetTeam Solutions for the execution and implementation of Help Desk applications and the maintenance was fully satisfying. Contractor turned out to be a professional. 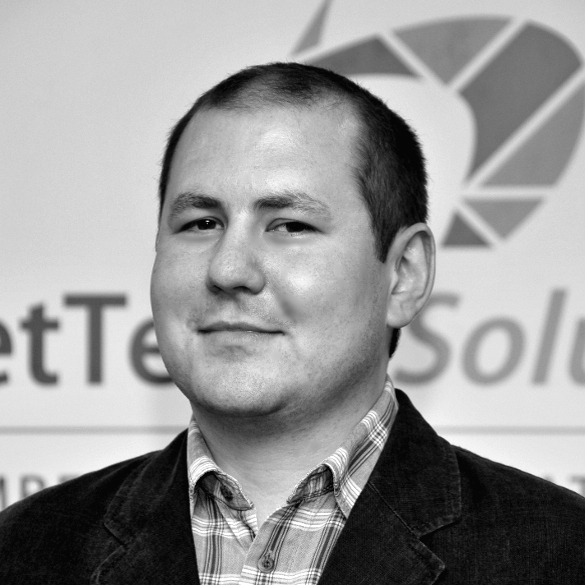 Marcin Lau CEO in NTS S.A. He works with NTS since 2004. He has extensive experience in implementing projects. Since 2008, the analyst and project manager in projects implemented by NetTeam Solutions. Since 2016 CEO in NTS SA. A graduate of Computer Science at the Technical University of Wroclaw. Graduate of Management at Wroclaw University of Economics. He has many years of experience in managing IT projects. 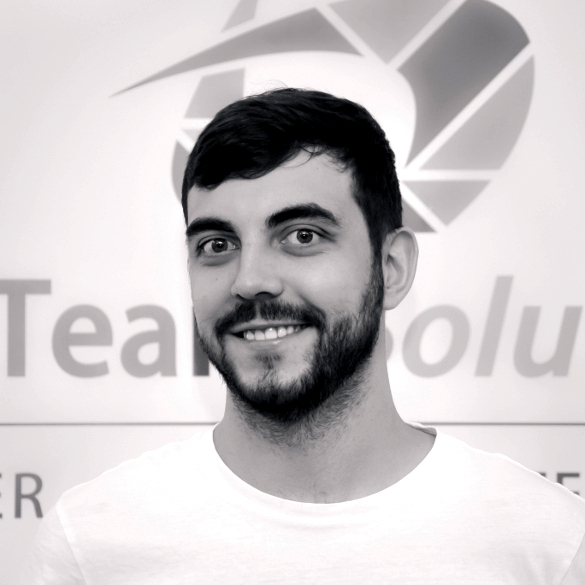 He works in NetTeam Solutions since July 2017. He plays floorball and is interested in sport. Patrycja is bound to the Carrywater since years. Our company deals with office support, and financial and HR matters. Her work supports the work of the Board. Privately she loves mountains and travels and in her spare time is running out on nature excursions. Network and Systems Administrator of Linux. She studied at the Wroclaw University of Technology Faculty of Electronics and Computer Physics at the University of Wroclaw. The winner of the contest MC2 and ESI internship program. The speaker at conferences telecommunications. She specializes in Linux system management, computer networks, Microsoft Azure platform, but also in the free space propagation model. In free time, she is a latino style dancer. She liked herself in Bachata Sensual with elements of Zouk. Network and Systems Administrator. Graduate Electrotechnic at Wroclaw Univeristy of Science and Tecnology and Computer engineering at Karkonosze College in Jelenia Góra. He is very experienced in work on similar position in different companies. He is working for not so long in NetTeam Solutions. Architect/Administrator of Network and Linux/Windows Systems. Graduate of IT on University of Wroclaw. He has many years of experience in work for small and large projects. 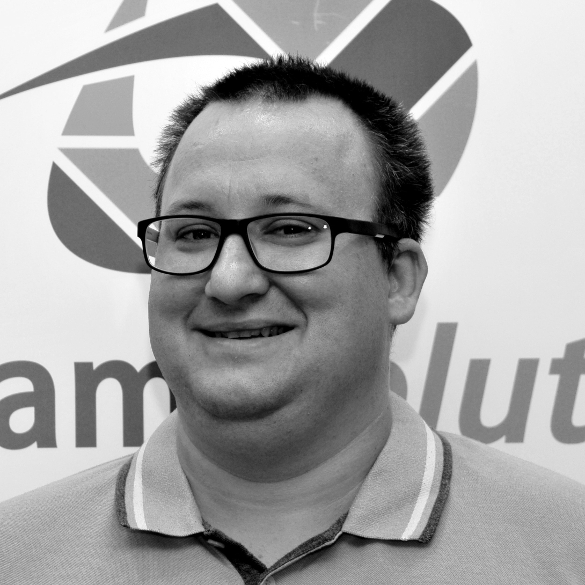 He works for Netteam Solutions since many years. 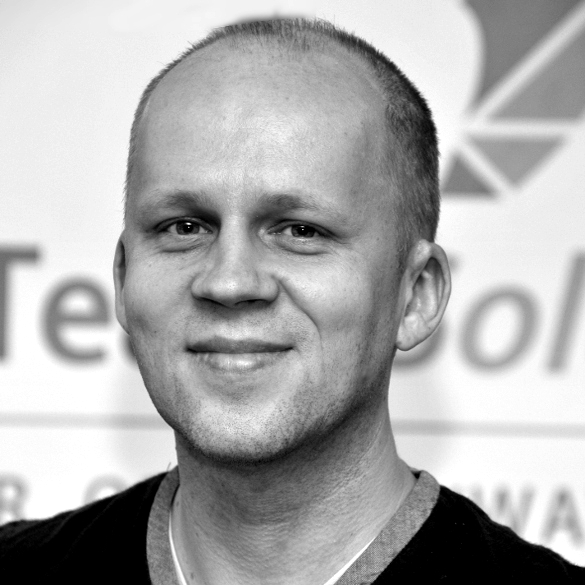 He is also consultant for designing systems - also in cloud, and for security. Linux Systems and Network Administrator. 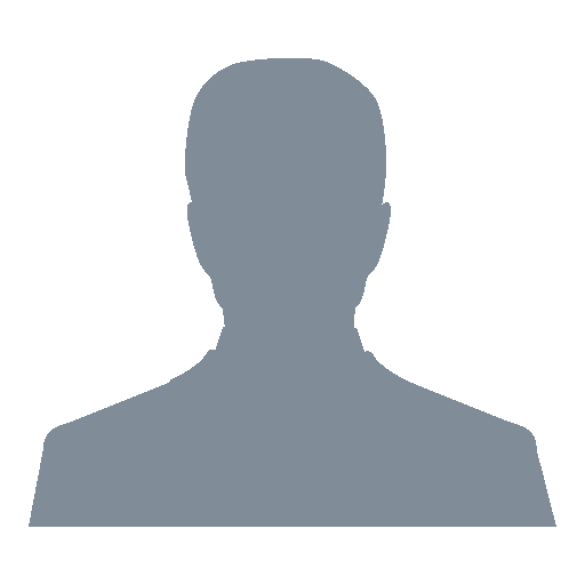 He has many years of experience in working with corporate and private clients. At work he values difficult tasks that require a non-standard actions. Acquire new skills is very important for him. He spends his free time in the mountains. A fan of metal and similar music types. NetTeam Solutions operates in more than 15 years. 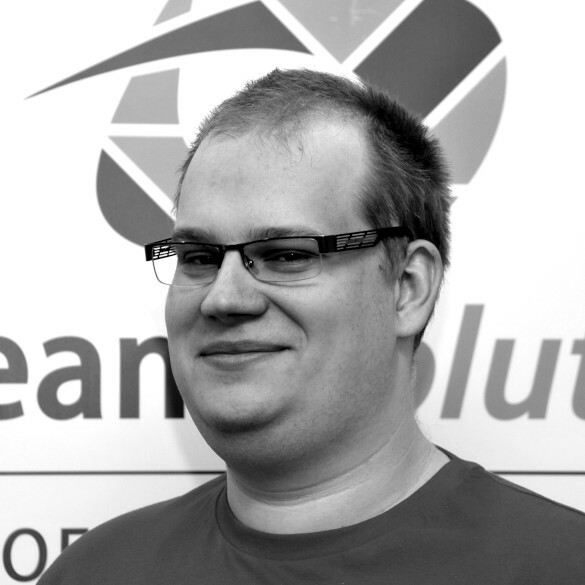 He graduated from Wroclaw University of Technology with a specialization in Software Engineering. His adventure with programming started from the 8-bit computers and still has a great fondness for the retro computers. Developer and main System Architect. He graduated an Informatics at Silesian University of Technology. His knowledge and skills allow him to participate in even the largest projects we realize. Every day he goes to work on his bike. He dance Bachata and Ballroom Dancing too. A graduate of Computer Science at the Technical University of Wroclaw. Gains experience in our organization being with us for another year. Programming in PHP and in several other programming languages and infects all new technologies. Student of Computer Science at the Wroclaw University of Technology. He is responsible for programming in PHP language. In free time, he works on his guitar play skills. Developer, mostly in systems like ProcessMaker BPM and SuiteCRM. Graduate Automatic and Robotics at Electronic faculty at University of Science and Technology. In private life, happy husband and father, Volvo fan, keeping up with newest info about chicken farming. Programmer with passionately. He's programming mainly in PHP language. Graduated of the Wrocław University of Technology in the field of Electronics and Telecommunications at the Faculty of Electronics. 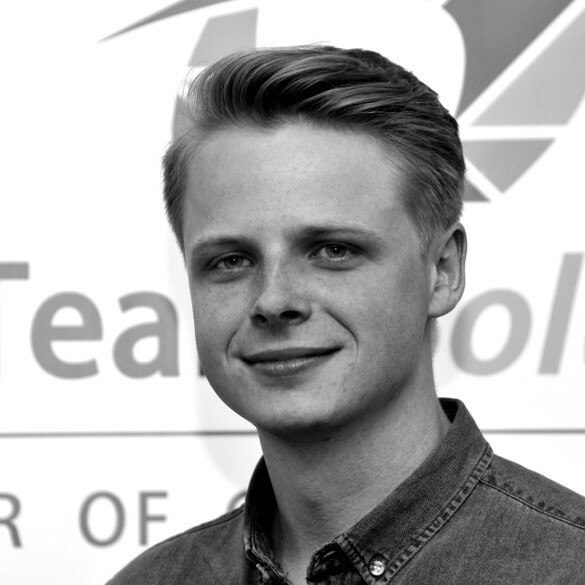 He's interested in software development in PHP and Java language as well as formula 1 and football. Passionate about programming from early childhood. He attitude towards life with non-standard way, difficult to predict. Simple answers to complicated questions are not satisfactory for him. A graduate of the Wroclaw University of Technology in the field of Computer Science. Junior PHP developer, but he can develop in some other languages. In free time, football enthusiast and its virtual version Football Manager. He also likes to watch F1 race and NBA match. Junior front-end developer, developing his skills in Angular. Environmental Engineering graduate. His spare time he mostly spends outside with friends. Graduate of Mechatronics at the Faculty of Mechanical Engineering of the Wrocław University of Technology. Beginner tester of software, full of willingness and enthusiasm for development, also in programming. Football enthusiast in every available edition. He also enjoys learning foreign languages. 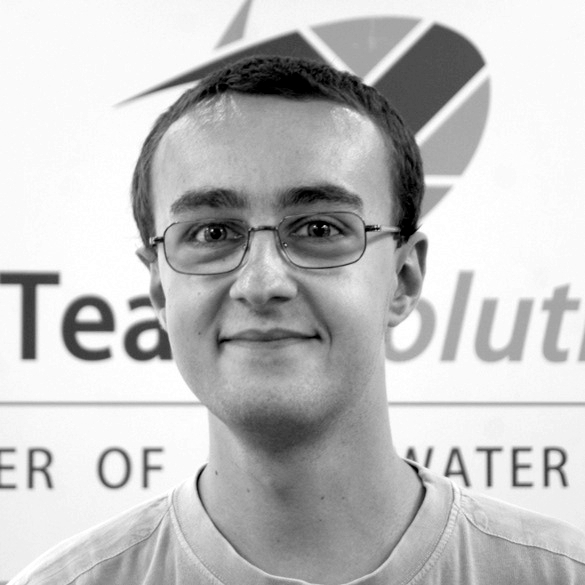 At NetTeam, Antoni is the software tester, developing towards testing automation. Passionate about lifting weights and Crossfit. 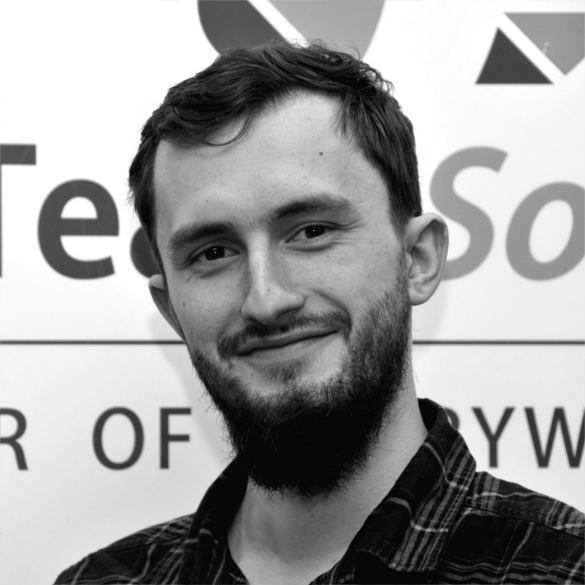 Amadeusz is studying Computer Science at the Wrocław University of Technology. 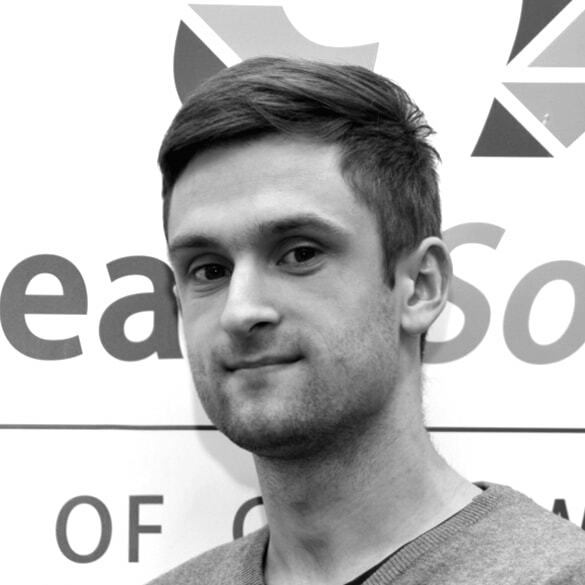 He is creating mobile applications for Android for two years (has finished two large projects). He starts his adventure with the NTS since June 2016. Network Administrator, Linux System and Information Systems Architect. He studied Telecommunications at Wroclaw University of Technology. Administrator with over ten years of experience. Specialist of Linux, Security, and Microsoft Azure Platform. Our company has been cooperating for several years and is a leading consultant on network administration and network administration. A former student of the University of Economics in Wroclaw. He resigned to focus on his professional path. 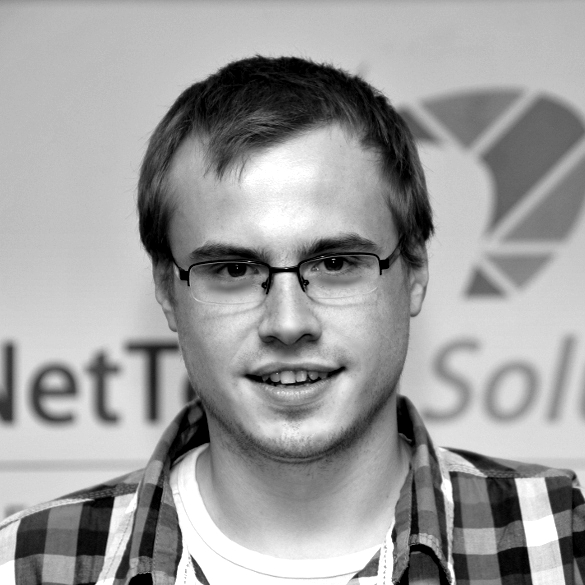 In NetTeam Solutions he has been working since recently as a typical "front-end", which is willing to take up any challange. As he claims, his life passion is... food. In his spare time, he spents his free time in a gym. 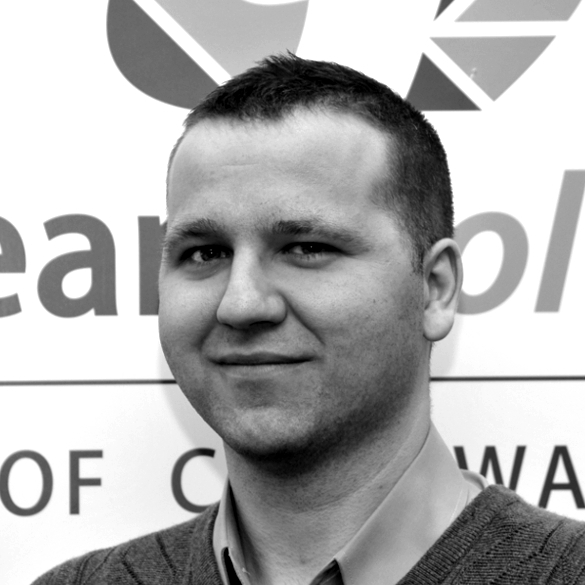 Dawid is an experienced developer of Java and the Android operating system. During his career, he participated in several projects related to mobile devices. Once worked for one of the companies belonging to Carrywater Group. Currently, he helps us to realize projects for mobile devices. The NetTeam company constantly looking for ambitious employees. If you want to try your hand at us, write us today. We are looking for Developer with excellent knowledge of Symfony framework. Job for university graduates majoring Computer Science . The work involves the development of tools with a family NetTeam and participation in new projects. Requires knowledge of design patterns and SQL. Job for people with skills in preparation Web application front. Requires excellent knowledge of HTML5, CSS3, and appropriate tools. Knowledge of Angular JS. The work involves the development of tools with a family NetTeam and participation in new projects. The ability to grow and learn. Participation in projects for big organizations. Oh yeah! We've got Your message. Ooops! Please, check reCHAPTCHA validation and form itself. Our office is on the Legnicka street in Wroclaw. It is just 15 minutes walk from the center of our city. We build customized solutions according to customer requirements, integrate with other systems and implement solutions based on products NetTeam own family. The company entered into the National Court Register KRS Commercial Division VI District Court for Wrocław Fabryczna, the number KRS 0000501921.